Blimey, that's a breathtaking article. 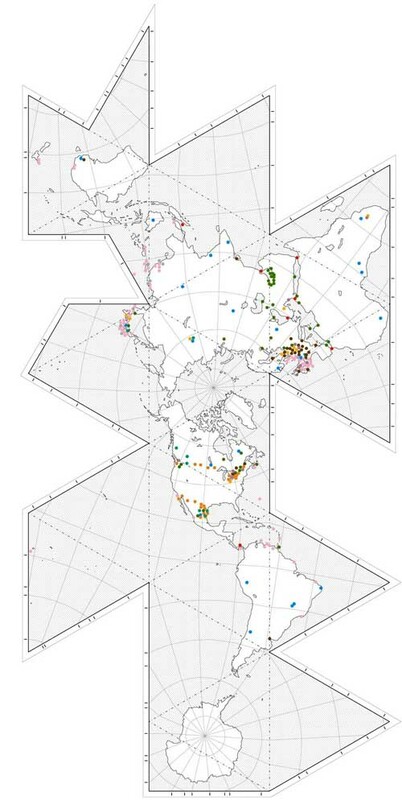 Years ago at Tim O'Reilly's FooCamp, I had a chat with Stamen's Mic Migurski on the use of Dymaxion maps to illustrate the naval imperatives for the British and Japanese empires; a Dymaxion perspective underlined why places like Gibraltar and Suez were critical to British power. Our conversation never went further, but it stayed with me, so it's wonderful to see such an expansive illustration of the US's geopolitical. It surfaces and clarifies many things that aren't apparent from policy. For reference, I plotted the Critical UK sites here: Google map.